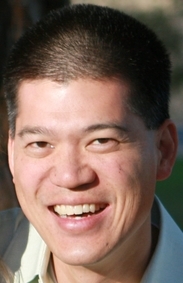 Dr. Clifford T. Wong attended dental school at the University of Missouri-Kansas City, completed a General Practice Residency at West Los Angeles Veteran's Administration Medical Center and practiced general dentistry for several years prior to attending his specialty training in endodontics. He received his Endodontic degree and Masters of Science in Dentistry from Case Western Reserve University 2003 where he studied and practiced the latest endodontic treatment and surgery techniques and technology. Aloha Endodontics is as close to paradise as a root canal can get! We understand that a trip to the dentist, particularly to the endodontist, is no day at the beach. That is why you can be assured we are dedicated to not only creating a warm relaxed and caring environment, but to delivering professional, gentle, meticulous care.